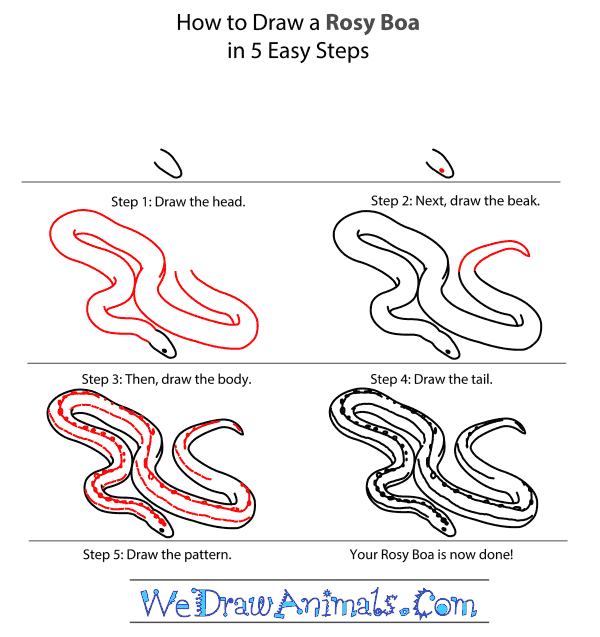 In this quick tutorial you'll learn how to draw a Rosy Boa in 5 easy steps - great for kids and novice artists. 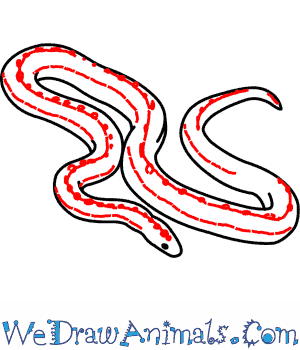 At the bottom you can read some interesting facts about the Rosy Boa. Step 1: Start by drawing the head. 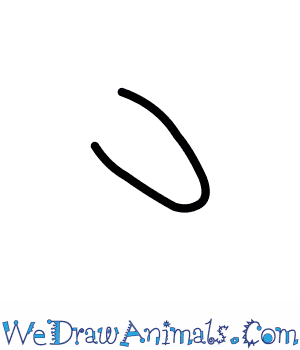 It looks like a crooked "U" shape. 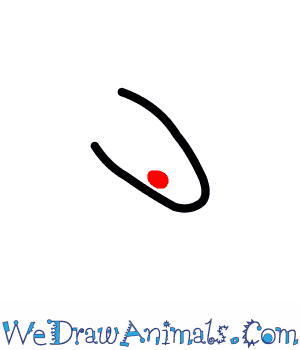 Step 2: Draw a small black eye close to the bottom of the head. Step 3: Continue the two head lines draw two lines back to make the body. 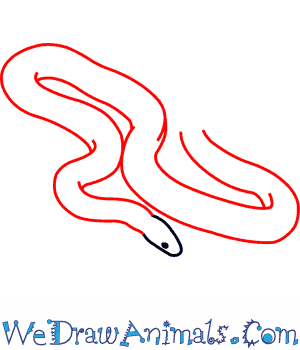 Curve the two body lines up and back and forth from left to right as though the boa is slithering through the grass. Make sure the two lines remain the same width throughout the entire body. Step 4: Finish the body by bringing the two body lines into a pointy tail. Step 5: Draw long lines all along the body. There are dots along the lines. This is the boa's pattern. 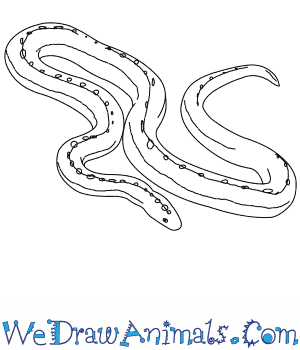 The Rosy Boa is a member of the reptile group and the scientific term for them is Charina trivirgata. This species gets its name partly from the rosy or salmon colors appearing mainly its belly. 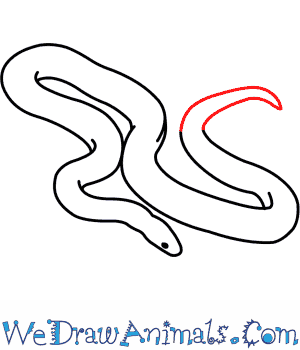 Its name is also derived from the fact that they are a small relative of the Boidae (Boa) family because it constricts the prey to kill it for food. These animals live in the southwestern United States and northwestern Mexico in deserts under large rocky terrain. The animal was first documented in 1993. Their body length is up to over 4 feet. Their pregnancy can yield up to 6 babies. The babies are born at about 1 foot long. They can survive in captivity in 20 gallon cages. They will leave their home of rocks to find mates during the Spring, or when they need food, or another home. Since they only generate cold blood, they must hibernate during the Winter, as their energy depends on seasonal warmth. However, in the Summer they tend to leave home only at night, to avoid dehydration. This species is very docile and attractive, so it is a popular choice for domestication regarding the pet trade. These animals have a low population amount, but are considered to be the least concern for the possibility of extinction.